Red Spins online casino operates on the Nektan platform with a gambling license from the Gibraltar Gambling Commission (RGL no.054). The casino provides incredible gambling options and an amazing selection of casino games including video slots, roulette, blackjack, and live games. Stick around to find out what this casino has in store for Canadian players. The casino has an exclusive VIP package for invited players. There are four levels and each level has its own benefits. Players must have deposited 2,000 dollars to qualify for the program. After meeting this requirement, players are invited into the privilege program to enjoy the additional benefits as long as they are Red Spins members. Silver – Deposits worth at least $2,000. Benefits include exclusive promos and reloads, larger deposit amounts, and faster withdrawals. Gold – Deposits worth $5,000. Silver level benefits plus a higher deposit limit. Premiere – 10,000 dollars in deposits. Gold and Silver level benefits, a weekly promo, an account manager, and gifts. Elite – 20,000 dollars in deposits. Premiere, Gold, and Silver benefits, more special gifts, and better loyalty promos. 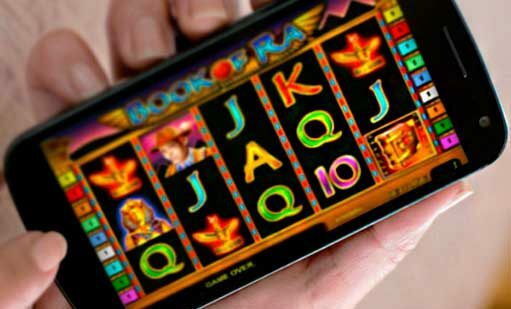 Players can access a wide variety of casino games including online slots, table games, roulette, and blackjack. Red Spins has partnered with famous developers such as Microgaming, Yggdrasil, Red Tiger Gaming, and Pragmatic Play to meet the needs of Canadian players. The available video slot games include Fortunium, Game of Thrones, Tiki Fruits, Ariana, Jurassic World, and Robin of Sherwood. If you are a fan of table games, you’ll find several variants of roulette and blackjack. What’s more, you can play live games like baccarat and poker. Red Spins Casino also offers various progressive slots like Mega Moolah, Cleopatra, Vikings of Fortune, and Top Cat. Red Spins Casino has a website that supports mobile devices in portrait and landscape modes. The mobile site is optimized to ensure faster loading, so some details are missing. It supports HTML 5, which runs well on the latest mobile devices. Use a new device if your old device isn’t working. One of the benefits of playing at Red Spins Casino is the availability of several banking options including Skrill, Neteller, Visa, MasterCard, Trustly, Boku, Paysafecard, and Zimpler. Canadian players can use any of these options. The lowest daily payout amount is 10 dollars while the maximum payout amount is 10,000 dollars. The minimum deposit amount is $5 per day while the maximum deposit amount is $10,000. 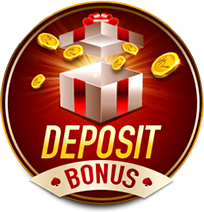 Players are required to adhere to the casino’s bonus policy when claiming bonuses. You can only claim your bonus once and you can’t move from low to high weighted casino games after large wins. In addition, your bonus cash is used when your cash balance is zero. The applicable wagering requirement is 40x the deposit. Red Spins Casino has a reliable customer support team. You can contact the casino’s representatives via live chat all the time. If you prefer old-school methods, you can use their physical address – Nektan Gibraltar Limited, 2.1 Waterport Place, 2 Europort Avenue, Gibraltar. Players can access an incredible selection of casino games at Red Spins Casino. This is possible because of the casino’s partnership with famous creators. There are more than 60 Microgaming games and numerous games from other prominent providers. The casino’s payment methods are fast and Canadian players can use the Canadian dollar. However, great options like Instadebit and ecoPayz are not available. Overall, Red Spins casino meets the needs of the Canadian market by offering all kinds of casino games, reliable banking options, and other perks.